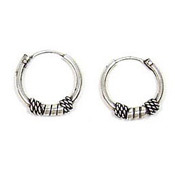 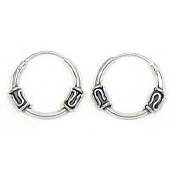 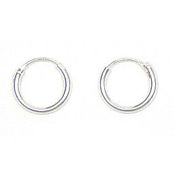 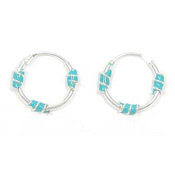 This style of earrings are called sleeper hoops because many people leave them in all day. 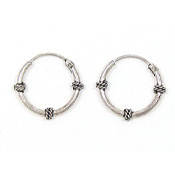 Even while they sleep. 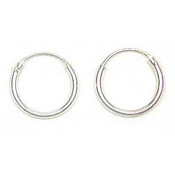 They have a hinge and tube closure so there are no backs to lose. 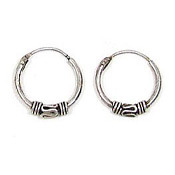 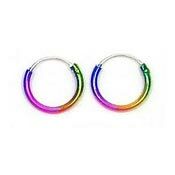 All of our sleeper hoop earrings are sterling silver.